Osugi, T., & Kawahara, J. (2018). Effects of head nodding and shaking motions on perceptions of likeability and approachability. Perception , 47, 16-29. Oriet, C., Pandey, M., & Kawahara, J. (2017). Attention capture without awareness in a non-spatial selection task. Consciousness and Cognition , 48, 117-128. Ito, M., & Kawahara, J. (2017). Effect of the presence of a mobile phone during a spatial visual search. Japanese Psychological Research , 59, 188-198. Miyazaki, Y., & Kawahara, J. (2016). The Sanitary-Mask Effect on Perceived Facial Attractiveness. Japanese Psychological Research , 58,261-272. Ito, M., & Kawahara, J. (2016). Contingent attentional capture across multiple feature dimensions in a temporal search task. Acta Psychologica, 163, 107-113. Inukai, T., Shimomura, T., & Kawahara, J. (in press). Attentional capture during attentional awakening. Attention, Perception and Psychophysics. Osugi, T., & Kawahara, J. (in press). Effects of bowing on perception of attractiveness. Attention, Perception and Psychophysics. 永井聖剛・西崎友規子・佐藤稔久・河原純一郎・平松真知子・寸田剛司 (2015). 実運転における右折時の同調的不安全行動とドライバ個人特性：認知機能および性格特性から 認知科学 22, 194-202. 明石法子，三盃亜美，宇野彰，河原純一郎，Cortheart, M. (2014). 成人の漢字単語書き取りにおける単語属性効果および誤反応特徴. 音声言語医学, 55, 162-166. Kawahara, J., Sato, H. (2013). The effect of fatigue on attentional blink. Attention, Perception & Performance, 75, 1096-1102. 佐藤稔久，河原純一郎，熊田孝恒，赤松幹之 (2013). 長時間運転での疲労蓄積への影響要因の分析とドライバーの疲労蓄積タイプの分類 自動車技術会論文集, 44, 1451-1458. Kawahara, J., Yanase, K., & Kitazaki, M. (2012). Attentional capture by the onset and offset of motion signals outside the spatial focus of attention. Journal of Vision, 12(12), 1-13. Sato, H., Takenaka, I. 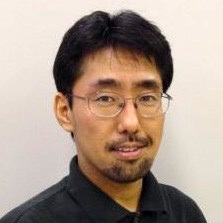 & Kawahara, J. (2012). The effects of acute stress and perceptual load on distractor interference. Quarterly Journal of Experimental Psychology, 65, 617-623. Kihara, K., & Kawahara, J. (2012). Voluntary production of a visual stimulus attenuates attentional blink. Attention, Perception, & Performance, 74, 312-321. Sato, H., & Kawahara, J. (2012). Assessing acute stress with the Implicit Association Test. Cognition and Emotion. Kawahara, J. & Kihara, K. (2011). No commonality between attentional capture and attentional blink. The Quarterly Journal of Experimental Psychology, 64, 991-1008. Kawahara, J. (2010). Identifying a “default” visual search mode with operant conditioning. Acta Psychologica, 38-49. Kihara, K., Yagi, Y., Takeda, Y., & Kawahara, J. (2011). Distractor devaluation effect in the attentional blink: Direct evidence for distractor inhibition. Journal of Experimental Psychology: Human Perception & Performance, 37, 168-179. Kawahara, J. (2010). Measuring the spatial distribution of the metaattentional spotlight. Consciousness and Cognition, 19, 107-124. Inukai, T., Kumada, T., & Kawahara, J. (2010). Attentional capture decreases when distractors remain visible during rapid serial visual presentations. Attention, Perception, & Psychophysics, 72, 939-950. Leber, A., Kawahara, J. & Gabari, Y. (2009). Long-term abstract learning of attentional set. Journal of Experimental Psychology: Human Perception & Performance, 35, 1385-1397. Kawahara, J. (2009). When do additional distractors reduce the attentional blink? Journal of Experimental Psychology: Human Perception & Performance, 35, 1043-1061. Lleras, A., Levinthal, B., & Kawahara, J. (2009). Past rejections lead to future misses: Selection-related inhibition produces blink-like misses of future (easily detectable) events. Journal of Vision, 9, Article 26, 1-12. Kawahara, J. & Enns, J. T. (2009). Selection difficulty and inter-item competition are independent factors in rapid visual stream perception. Journal of Experimental Psychology: Human Perception & Performance, 35, 146-158. Yamada, Y., & Kawahara, J. (2007). Dividing attention between two different categories and locations in rapid serial visual presentations. Perception & Psychophysics, 69, 1218-1229. Ono, F., & Kawahara, J. (2007). The subjective size of visual stimuli affects the perceived duration of their presentation. Perception & Psychophysics, 69, 952-957. Kawahara, J., & Yamada, Y. (2006). Two non-contiguous locations can be attended concurrently: Evidence from the attentional blink. Psychonomic Bulletin & Review, 13, 594-599. Kawahara, J., Kumada, T., & Di Lollo, V. (2006). The attentional blink is governed by a temporary loss of control. Psychonomic Bulletin & Review, 13, 886-890. Nabeta, T., & Kawahara, J. (2006). The reduction of false recognition through haptic presentation of objects. The European Journal of Cognitive Psychology, 18, 801-812. Kawahara, J., Enns, J. T., & Di Lollo, V. (2006). The attentional blink is not a unitary phenomenon. Psychological Research, 70, 405-413. Di Lollo, V., Kawahara, J., Ghorashi, S. M., & Enns, J. T. (2005). The attentional blink: Resource limitation or temporary loss of control? Psychological Research, 69, 191-200. Ariga, A., & Kawahara, J. (2004). The perceptual and cognitive distractor-previewing effect. Journal of Vision, 4, 891-903. (refereed full paper). 河原純一郎 (2003). 注意の瞬き 心理学評論, 46, 501-526. Kawahara, J., Zuvic, S. M., Enns, J. T., & Di Lollo, V. (2003). Task switching mediates the attentional blink even without backward masking. Perception & Psychophysics, 65, 339-351. Kawahara, J., Di Lollo, V., & Enns, J. T. (2001). Attentional requirements in visual detection and identification: Evidence from the attentional blink. Journal of Experimental Psychology: Human Perception and Performance, 27, 969-984.